Despite the summer solstice two days ago, June has been a wash-out. 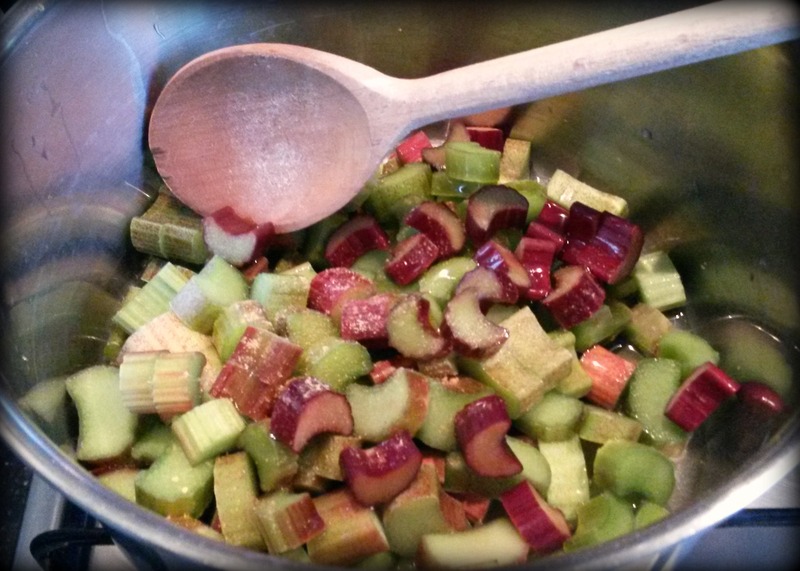 While the constant rain has been good for some of our fruit, such as the rhubarb, which I’m stewing up constantly, it’s wreaking havoc with our other fruit, such as the cherries, many of which have started to rot away. It’s so frustrating, we’ve yet to have a decent crop from that tree! The flowers in our back garden have also taken a battering! Between the rain and Agent Daisy launching herself at anything that crawls, flies and buzzes, many of our flowers have been flattened! 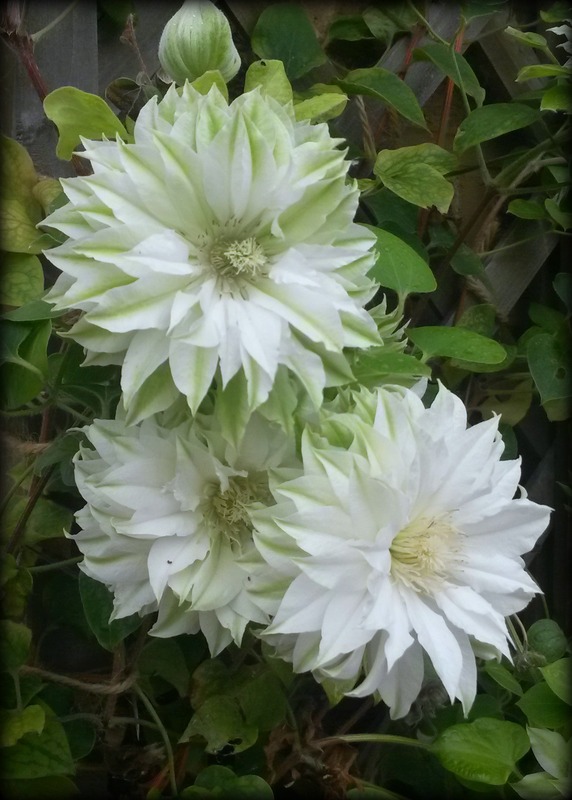 But not our beautiful Arctic Queen clematis, which is looking suitably splendid at the moment, clambering up and around the front door. Thank heavens for vertical planting, this is one bloom that will hopefully escape the notice of our kamikaze kitten. I just hope we see more sunshine in July! In Maine, we have been having a bit of a drought. Wish we could share rain and sun. Wow! what a stunning clematis. I must acquire an Arctic Queen. And Little Agent Daisy must get her act together in the garden.